Clubroot is a serious soil-borne disease caused by the fungal-like pathogen Plasmodiophora brassicae. As the name suggests, this pathogen attacks theroot systems of plants in the Brassica family (mustards, cabbage, Broccoli, cauliflower, brussels sprouts, etc). Once the roots are infected, they swell and produce club-like galls. These infected roots are incapable of taking up water or nutrients from the soil. For this reason, the first noticeable above ground symptoms are stunting and wilting. These symptoms are often mistaken for heat stress during times of hot weather. Proper diagnosis can be made by pulling up the plant to check for galls. The plant will continue to decline over the course of the season and will not mature properly. The pathogen can survive in the soil as a special type of spore called a resting spore for up to 20 years, which makes it almost impossible to eradicate once present. The severity of the infection increases in acidic soils (below pH 6.5), soils that are water saturated, and warm soils (above 20oC). The spores can only move short distances within the soil so the primary method of the disease spreading is with soil movement. All practices that decrease soil movement are the primary method of reducing spread of clubroot. Following low tillage and equipment sanitation techniques have been shown to be effective methods of limiting the spread of clubroot. Equipment sanitation means cleaning all the soil off of tractors and equipment when moving between fields. What else can a grower do who has clubroot in his fields? Long Crop rotation. Although the spores can last for a long time in the soil, crop rotations of 4 or more years have been shown to reduce the severity of infections in cole crops. During years where cole crops are not planted, make sure to control all mustard weeds as they are a host of clubroot. Plant resistant varieties and clean transplants. 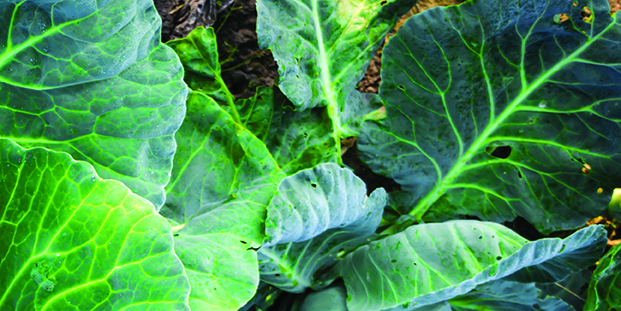 Resistant varieties are available in many markets for cabbage, Brussels sprouts and cauliflower. When planting transplants, make sure you are not introducing the disease into your field by using infected transplants. Fungicides. There are some fungicides like Allegro 500F registered for use on clubroot in cole crops; their high cost has made them economically unsuitable for use in many situations. Lime. Adding lime to the field to raise the pH to over 7 has been tried in many areas with inconsistent results. Again, the cost of this technique has made it unreasonable for many situations.